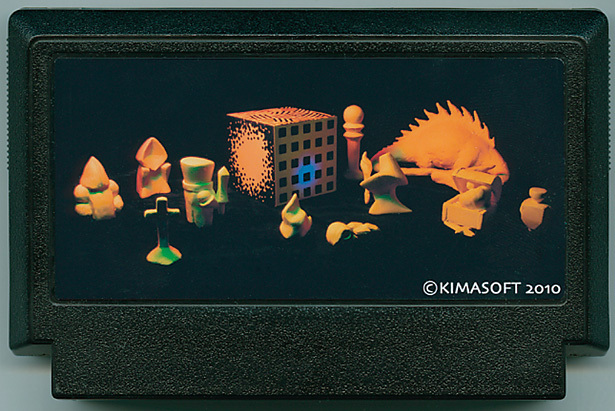 The game takes place in a world made of clay, similar to what is shown on the cartridge. The graphic style is all in 3D, trying to mimic the clay atmosphere, as much as possible. The game design is loosely based on the original arcade game 'Metrocross' by Namco. Windows Binary file V1.0.2 to be downloaded HERE. Source files & full project available here. Run in a corridor, avoid the obstacles (barrels, slowering tiles...), jump on the bumpers, get the food for extra-time, reach the end of the corridor. - Add +0.5s bonus when eating meat. - Improved the background on level 4. - Add score bonus when eating food, malus when hitting barrel. - Reduce by a huge amount the UI CPU consumption. - Add a bench mode. I've loved the looks of pretty much every 3D game you've made. I'll try not to disapoint you. Some quick rendering with MentalRay. Space Harrier style get's my vote! Uhuh Thx for the opinion feedback. Here's the first screenshot, this time it's running full realtime in the engine (the previous pictures where made with an offline renderer). Still note sure what to do with that. Maybe I should model a little knight, chrome made, to wander in this clay world ? Nice, what engine are you using? Fantastic work! It kind of looks like a strategy game to me, but I look forward to seeing what you decide to do with these beautiful assets. If you found this post useful, you might enjoy Rollaway. I am NOT disappointed. That's all looking incrediblelicious. Seems like it'd be fitting for a roguelike to me. Or at least a roguelike-esque game in real time third person. Thanks I try to maintain a huge list of all existing 3d engines, but I didn't know about this one. And it can be scripted, which is awesome. And The graphics in your game look really nicely lit and shaded. Hm, interesting ideas of gameplay! And what beautiful graphics! How will that cube play into it? Is that what you're trying to get? Very very sweet! You made it look really clay like! Oh and thanks for sharing the GameStart3d link! The colors are temporary, the final model should be in shiny white chrome. Any critic or suggestion about the design of this knight is, OF COURSE, warmly welcomed. Looks like the back of the knight boots, around the heel/ankle area, could use a little more love and detail.